Active Rain does work & not only for me -- Success Stories!!!! I have been on Active Rain since October 1st, 2006 and I have learned so much and have made so many friends. But I have also earned some business from those that read my blogs and even a few members on AR. Overall, it's been a great experience. I wanted to share this with everyone on AR and those in the public for several reasons. I want to make people aware that blogging is such a powerful tool. Jason Crouch shared a post with us reflecting on his success on 11/8/07. And I wanted to let consumers know that this is a great site to find professionals that you can trust and those that have your best interest in your transactions. Even if you have a question, many of us are willing to help you. One great asset about blogging is that I have been able to reach people from all over. Not only have I talked to realtors and AR members throughout the United States, but that I have helped clients outside of my surrounding area. Just in the last 2 months, I have closed on 6 transactions just from blogging. Four of these mortgages that closed were outside of my state of New Jersey. One as far as California. 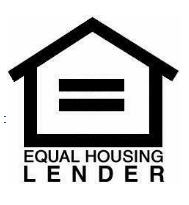 Here is a great debate on whether you should work with a lender close to home or out of state. Out of state lenders.... -- Good or Bad My point here is that it can work if you allow it to. Just the joys of being thanked when you are able to even help a competitor of yours can go a long way. Here is an excerpt from another loan officer who had been reading my blogs. And here is an e-mail that made my day from another client, because an AR member had referred them to me. Conclusion : Active Rain can be a very powerful and helpful tool in so many ways for both the member and the consumer. Take advantage of it and don't lose sight of your focus. One last thing about Active Rain has been the friendships that I have made. I have even had the pleasure to have met 3 of them in person and looking forward to meeting more in the near future. My 1st Active Rain meeting with an AR member..... Rob who????? I love the success stories. I like the use of the pictures in your blog as well. Great story. Thanks for posting it. It's great to see the success stories from AR. Keep up the great work. Peggy..... thank you for the compliment and for stopping by. Andrew.... as so many have mentioned, it is great to see these types of stories. You should read Jason Crouch's blog. Unfortunately it was for members only. thanks for the compliment. Jeff - Thanks for mentioning and linking to me in your post. By the way, I changed that post to public now. AR provides a great platform for us but we have to do the work. Thanks. AR has really established itself as the premier real estate network. Not only by the growing membership numbers, but also by the professional platform it provides for its members and how they use it. But to gain the benefits require work, require you participate by blogging, commenting, exchanging ideas etc. Cynthia.... do we have to do the work? aaarrggghhh ;o) Seriously, yes, we do need to do some work. Esko..... I certainly think so. I haven't really ventured out to visit other sites, but I am happy. Overall, thanks for your feedback and input. Heather.... yes, it is great and I hope to read some more..... maybe sometime soon, a few about you also. Thanks for stopping by. Jeff - I started blogging here as a way to explore this new marketing angle. I have put in a lot of effort. If I were to judge it on the new business that resulted because of it, I would have to be disappointed, since it didn't happen yet. I am usually very analytical when it comes to ROI, whether of time or money. I am not disappointed, in fact blogging is one of the most satisfying aspects of my day. I am happy with the new people connections I made here. The learning has been phenomenal. I guess I will have to take stock, as I go along. If I don't see business results I would need to ask myself the prudent questions. Congratulations on the big effort you have put in and the business results that you got. It's all well deserved. I am surely happy our paths have crossed here. I have gained both friends and business through ActiveRain.... and many of you know that 85% of my blogs are just goofy stuff. AR is without a doubt a useful tool for both business growth, VALUABLE INFORMATION, and personal stress relief. Jeff Belonger is one sharp Loan Expert and would refer business to him in a heartbeat. Did I know Jeff a year and a half ago? No. And now I would refer business? Why? FAINA...... I know exactly where you are coming from. And I was the same way after my first 8 months. But the e-mails are picking up weekly and I would assume it's working now more than ever because of the amount of time that I have been doing this. I do a lot of comments but not much blogging. I know I need to increase my blogging but can never think of anything to say. Just write about your home town - there must be SOMETHING of interest.... and plop it into localism also. DENISE..... as Rob below mentioned, blog about your hometown and place it on Localism also. I use to struggle sometimes in what to write. There are so many examples of people on AR and what they write. Celeste "Sally" Cheeseman who writes all kinds of blogs. I would say half of her stuff are feeling posts, but she has does about 40% of her posts on her local area in Hawaii. Read these to get a great idea. Jason Crouch -- Read Jason's last 6 blogs to get an idea. He wrote an excellent post that was an analogy about service in the real estate profession and comparing it to service at a restaurant. Brian Brady Brian writes a lot of thought provoking posts, relating to both the real estate market and mortgages. Missy Caulk Missy writes all kinds.... some fun and interesting. Read : Just the "Big 3"? She also writes posts about he her RE/MAX office and what they have to offer nationally. Wrote one about her daughter and so many others. Overall.... just read, read, and read. Don't stress about it... there is so much to learn out there. Write down little notes as your day progresses, with thoughts and topics for blogging. Keep a little journal possibly, as some have a little book to keep notes in. Me? I just e-mail myself topics and such when I think of something and go back to it later. Hope this helps some. ROB..... thanks for your feedback. Great motivation! Especially for new rainers...and even for those of us who have our own success stories. TONY..... thanks for those kind words.... I just think so many join and run away. They don't even see the big picture or ask questions, trying to understand. There are so many on AR that are willing to help and answer questions. Thanks for sharing positive news!! Good news is always good to hear! What a great blog. I have recently looked at you links, I shall be returning. Thank you for all the information you have made available. It is great to know that if I have questions or concerns, I have another resource just a click of the mouse away. Again thank you for wanting to share your expertise with all of us on AR. Much success to you. Great post Jeff. Very helpful. Congrats on your success and continued success. Congratulations Jeff. Your hard work has really payed off for you.